Use of this website does not establish a doctor-patient relationship. The content of this website is for informational purposes only and should not be construed as providing medical advice. 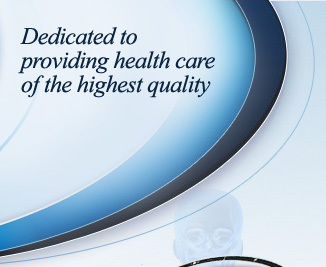 This website is not intended to be a substitute for advice, diagnosis or treatment by a licensed medical professional. Anyone accessing the information on this website assumes full responsibility for the use of this information and understands and agrees that Gastroenterology Associates of Southeastern Virginia is not responsible or liable for any claim, loss or damage resulting form the use of website. Gastroenterology Associates of Southeastern Virginia does not warrant this website to be error- or virus-free and does not guarantee against unauthorized users attempting to obtain access to this website. Further, Gastroenterology Associates of Southeastern Virginia assumes no responsibility for errors or omissions in the materials on this website. Gastroenterology Associates of Southeastern Virginia disclaims any warranty concerning the accuracy, timeliness or completeness of content, or any other warranty, express or implied. Gastroenterology Associates of Southeastern Virginia also reserves the right to temporarily or permanently discontinue this website, or any part thereof, at any time and without notice. Although this website contains links to other websites, Gastroenterology Associates of Southeastern Virginia possesses no authority over external organization’s websites, and this policy does not apply to external sites that are provided as links. Gastroenterology Associates of Southeastern Virginia is not responsible for the security or privacy practices of, or the content of these other sites. Furthermore, Gastroenterology Associates of Southeastern Virginia does not endorse any of the products or services marketed at these other sites.